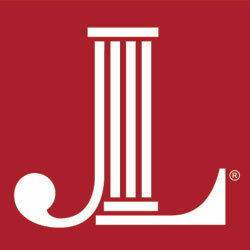 The Junior League of Austin offers many opportunities for participation in our mission to improve the community. As a diverse group of dynamic individuals, we appreciate the interest and willingness of all who want to support our organizational goals. Whether you are donating your time, energy or resources, you can be assured that The Junior League of Austin will utilize them fully to better our community. GET INVOLVED TODAY. Your support is critical to our continued success, and we invite you to join us with a gift to our Annual Fund. Your tax-deductible donations help the League do its valuable work in the community. Please consider a cash or in-kind donation to the League. If you are looking to lend a helping hand please click on the Coats for Kids Shift Sign-up; we welcome volunteers to help us as we provide warm winter coats to more than 32,000 children on Distribution Day. These fundraising efforts teamed with our trained volunteers ensure maximum impact of your gift. We invite the community and our membership to support the mission of The Junior League of Austin. Please click on one of the options listed to read more about how…You can make a Difference.